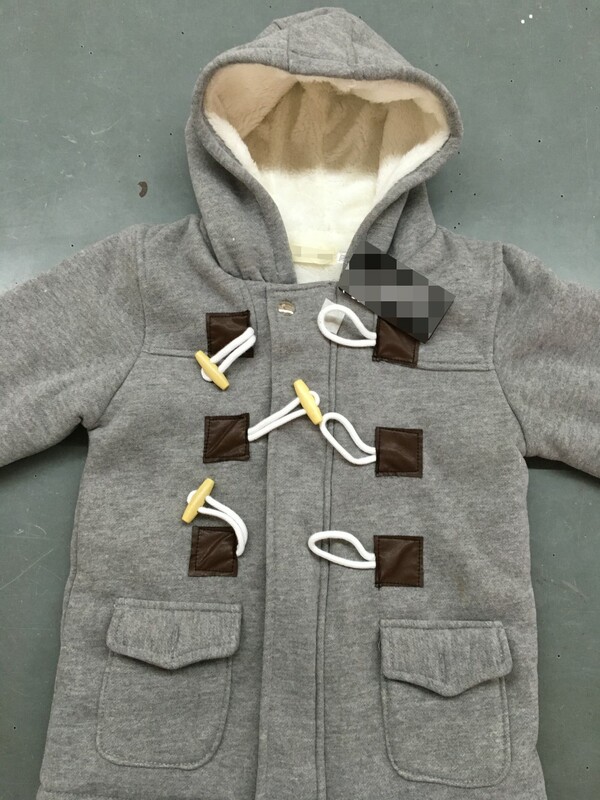 Dress Your Baby Boy With This Cute Coat in this festive season. 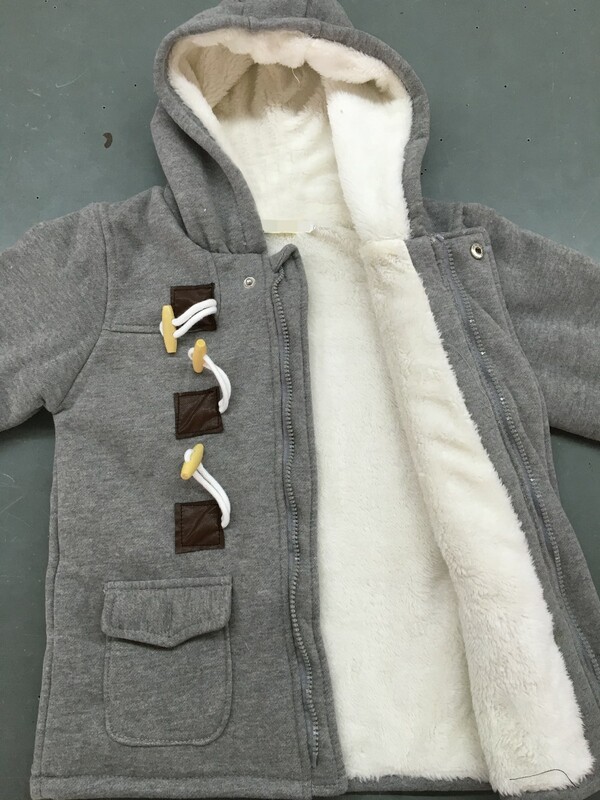 These baby boys coat is ideal for dressy winter occasions (Thanksgiving, Christmas). 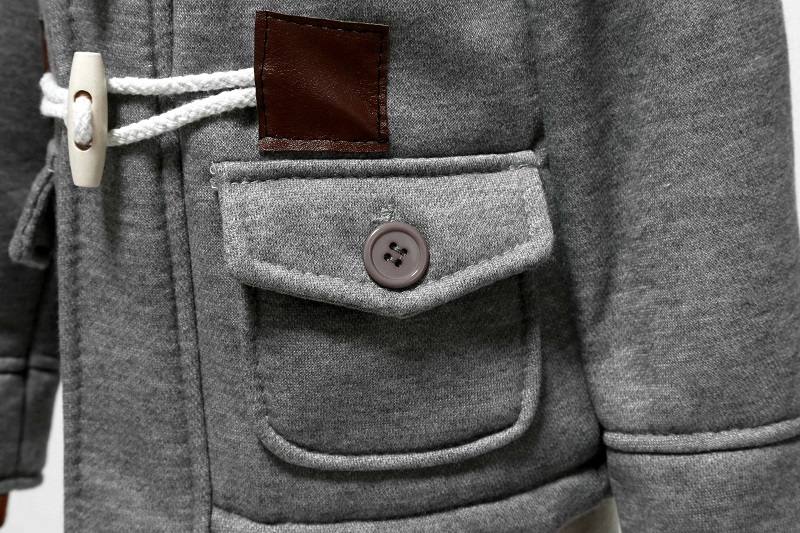 Featuring a classic design complete with handsome toggle buttons, dual pockets, and a warm hood. the jacket is exactly as on picture. my son has 80 cm height and size 18M fits for him, a bit bigger but nor so much. very nice product! 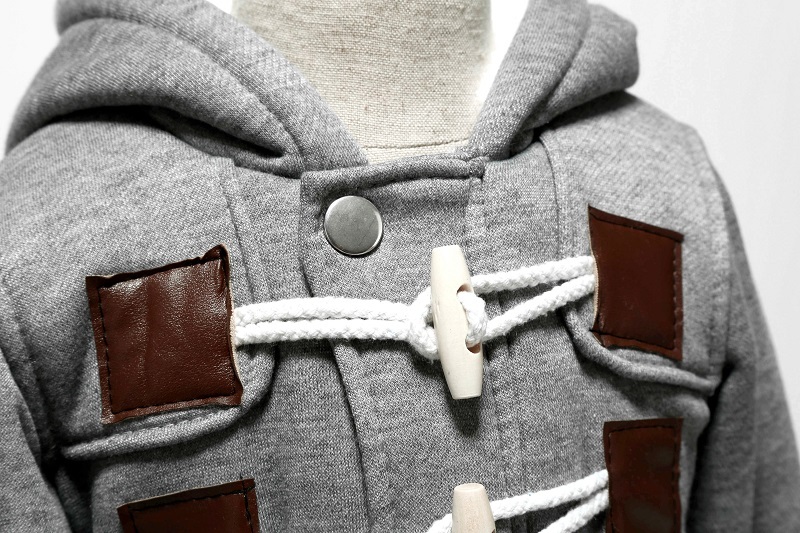 Jacket come in 2 weeks. More Of course as warm sweatshirt, but even the cool autumn good. Color is not the same as the photo, more red. Stitched very well, flat seams, thread not stick, no smell. The Child Is 78 cm, took 18 m-90 cm. Cuffs podkatali and perfectly. IN general, I am very happy with the order, contacted the seller about the size, reply immediately. Would recommend. Order came within 3 weeks, the pictures. The quality is good. Size of the statement. Recommend. Very nice coat,warm, stylish. Sutable for autmn. Description and size are accurate. Fast delivery, very happy with purchase. Perfect coat for your money! Look very fashionable baby it. It 'S in the Krasnoyarsk for 2,5 weeks. 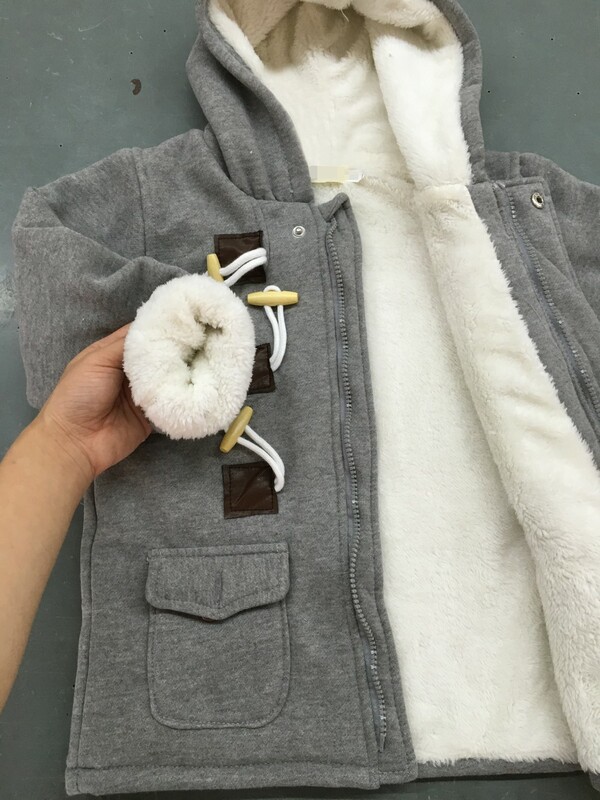 Our growth 80 and ordered 11,6 weight M (US 9 months) can wear even now, but and spring think are like in it. Long sleeves right even for growth. But they can bend it is not critical. No smell, do not stick out, all buttons, hinges and riveting lockable safe and in working condition. I am very happy shopping!!! parcel has come. quality is good. size description. Я в восторге. Очень понравился и цвет и на ощупь очень все мягко. Думала будет ткань плотнее, но и так хорошо. Немного нитки торчат, но это не критично. На 11 месяцев большеват( но можно ходить с подогнутыми рукавами). lovely, is the my second purchase and came as lovely as the second! Very satisfied with my order coat very warm and super nice I recommend. love this product! great quality arrived before time. thank you! 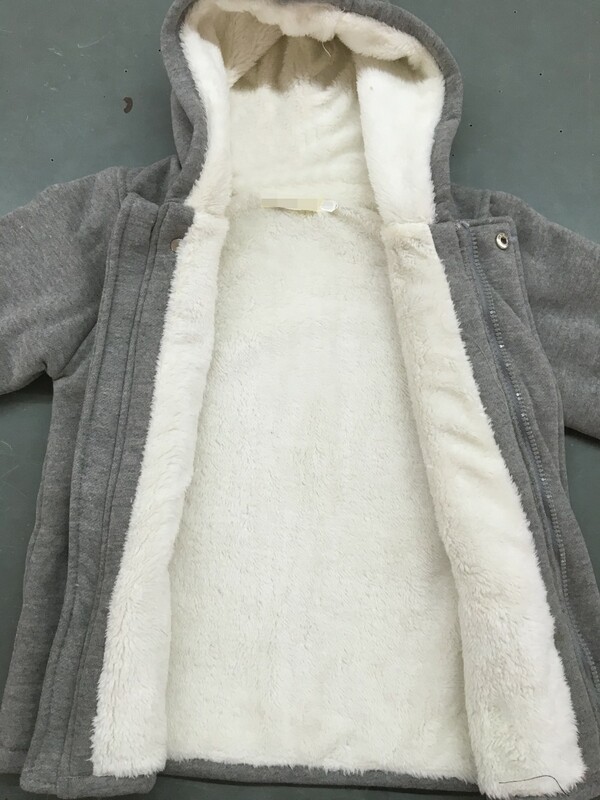 Perfect jogging fabric with Teddy inner lining Sleeve long but so beautiful finished….